Woodrow Kernohan is an England-based curator and artist, the current director of the John Hansard Gallery in Southampton. After studying in London, Brighton and Maidstone, he finished his research in the Royal College of Art in 2011. 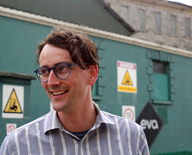 For the last six years he was the director of Ireland’s biennal of contemporary art, EVA International. Prior to EVA International he was co-director of photography festival Brighton Photo Fringe and Permanent Gallery which is an experimental exhibition space. He worked at The Regency House as curator of the exhibitions. He realized projects with over 200 artists between 2004 and 2011 and with Brighton Photo Fringe he organized over 210 exhibitions on festivals and biennals. In 2015 Kernohan was the curator of the Irish Pavilion at the Venice Biennal, presenting Sean Lynch’s ‘Adventure: Capital’ in the Arsenale. He is member of the International Biennal Associations and the Association of Curators of Contemporary Art. Besides organizing exhibitions he is an active artist, exhibiting regularly in spaces like the London Art Fair, the Gimpel Fils in London, the Stephen Lawrence Gallery and the South London Gallery. 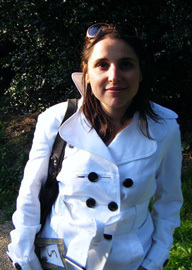 Audrey Illouz is an independent art critic and curator based in Paris. A graduate of art history and English literature at the Sorbonne, she worked between 2006-2010 as an exhibition coordinator at the Centre Photographique d’Ile de France, being responsible for exhibitions, a residency program as well as for several editions. She is a regular contributor for the magazines Art Press, Flash Art International, and 02. and member of C-E-A (Associate Curators) and AICA. Starting from 2010, Illouz is the advisor for Lab’Bel, the artistic laboratory of the Bel group. Associate curator at Comédie de Caen since 2015, she is currently a teacher at both Reims (École Supérieure d’Art et Design) and Paris (Institut Supérieur des Arts), carrying out a research on Vito Acconci and the New York-based Acconci Studio. One of the key areas of her research deals with the medium of photography as the starting point of process-based approaches as the exhibition The Appearance of Images, Fondation d’entreprise Ricard (2013) or Dispositifs (Aurélie Pétrel, Marina Gadonneix), Comédie de Caen (2015) points out. She also works on the links between langage, conceptual art and performance as the exhibition cycle Silencio! (2008), Galeria Vermelho, São Paulo or Chambres Sourdes (2011) Parc Culturel de Rentilly reveals. In 2013 she was the art director of an outdoor exhibition project layed out in the cooperation of the Musée éclaté de la Presqu’île de Caen and the Caen–Cherbourg Art School. In 2011 she received the grant for Art Critic and Theory by the Centre National des Arts Plastiques. Doris Krystof is an art historian, author and curator for contemporary art, film, video and media art at Kunstsammlung Nordrhein-Westfalen in Düsseldorf. 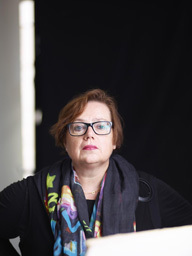 After studying Art History, Literature and History at the Universities of Freiburg and Cologne, Doris Krystof worked as a curator for modern and contemporary art at Kunstsammlung Nordrhein-Westfalen, Düsseldorf (1993-2000), Kunsthalle Wien (2000/2001) and K21 Düsseldorf (since 2002). Previous exhibitions include monographic shows of Daniel Buren (1996), Steve McQueen (2001), Heimo Zobernig (2003, K21 with Mumok, Vienna, and Kunsthalle Basel), Yoshitomo Nara and Hiroshi Sugito (2005), Martin Kippenberger (2006, K21 with Tate Modern, London), Eija-Liisa Ahtila (2008, K21 with Jeu de Paume, Paris), Jorge Pardo (2009, K21), Ana Torfs (2010, K21 with Generali Foundation, Vienna), Gillian Wearing (2012, K20 with Whitechapel Gallery, London) and Wael Shawky (2014, exhibition and film production). Group shows include The Self is Something Else. Art at the end of the 20th century (Kunstsammlung Nordrhein-Westfalen), Video Art in Germany – the 80s (2006, K21), Talking Pictures. Theatricality in contemporary film- and videoinstallations (2007, K21), Big Picture I-III (2011-13, K21) and Art Make-Up (2013). Since 2013 Doris Krystof is also curating Kunstsammlung’s Futur 3. Approaching an Unknown Future. A Program in the Schmela Haus. For K21 she is currently preparing’ Marcel Broodthaers. A Retrospective (with MoMA, New York and Museu Nacional Reina Sofia, Madrid, March 4-June 11, 2017) and Art et Liberté. Rupture, War and Surrealism in Egypt 1938-1948 (July 15 – October 15, 2017).